First of all, would you tell my blog readers a little about yourself? I was brought up in the States, the UK, France and Belgium; I’m a dual UK/US national and have lived most of my life in this country. I never really had a career with an intention or trajectory. I veered towards jobs that involved writers and writing, first in television, then as an arts administrator working at a theatre in New York, and later various organisations back in the UK. For most of my adult life I lived in a variation of one room, whether as part of a shared house when I was young (of course), or in odder versions of this as I grew older and my peer group partnered, got mortgages (I am of a generation when this was still possible), and in the main had children. One of my favourite homes was a garret room in a peculiar museum house on the edge of Wimbledon Common. In exchange for the room I delivered talks to visiting groups about the house. I tended to trade financial security and reward for time to read, write, walk, think. I didn’t live in a couple until I was middle-aged, and have been fortunate to be with a man who is supportive of my need for quiet! Tell me about your journey to publication. It has been a long one. I’m afraid I don’t have the kind of autobiography that sees me as an ambitious and ardent young person with a clear sense of the writer one day I would become. I felt writing was for people with far greater genius, ambition and talent than I felt I had (and I still feel that in relation to the writers whose work I most admire). But eventually the desire to be on the other side of the love affair, to have a go at writing as part of my love of reading, won out. My first fully written novel, a riff on European existential literature, landed me an agent and an Arts Council award but no publisher wanted it. My novel A Perfect Mother was disliked by my former agent and fell on deaf ears elsewhere. I continued to re-write it, to find good readers, to think and read in order to help me refine what it was I was trying to do with it. During this period I got an MA in 20th century literature from the University of East Anglia and trained as a coach and mentor to writers. Finally a new small press, Hikari, took it. I’d known the editor for many years through work. When Hikari was established with an Arts Council grant it seemed like a good opportunity for both of us. I couldn’t have been more thrilled! A Perfect Mother is about a middle-aged man called Jacob Bedford who is estranged from his wife and living separately to his teenage sons. At the start of the novel he arrives in Trieste (in Northern Italy) to write a magazine piece about the city and to do research into a lost ancestor. There he meets two women, Jane and Charlotte. Over the course of the novel he develops a friendship with one and a love affair with the other. The story is about the unforeseen consequences these relationships have on his life. The title is an ironic riff on our ideas about parenting and family. 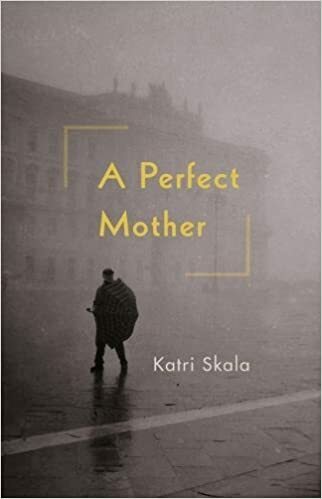 The phrase ‘a good enough mother’, coined by the psychoanalyst DW Winnicott, came to mind when I started thinking about this book; a perfect mother doesn’t exist but somehow seems to me to be an ideal that continues to plague our society with, with, to my mind, detrimental consequences. How do you plan to celebrate publication day? A glass of champagne with close friends, my husband, and family who have supported me unequivocally through the long and winding route to publication. 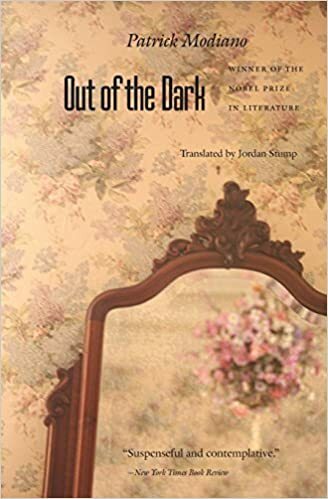 I’m reading Patrick Modiano’s novels. He is a French author who I hadn’t heard of before he won the Nobel in 2014. I picked up Dora Bruder and was astonished. I’m now on my fourth, Out of the Dark. And there are plenty more to read! See above! I always have a non-fiction book on the go as well as a novel. 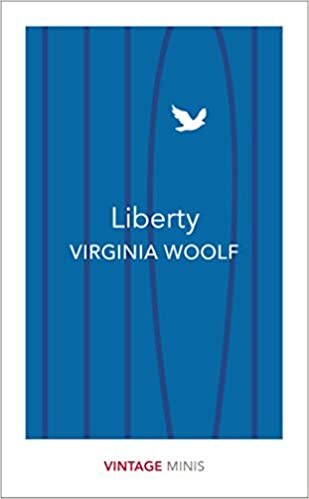 Over the course of this gorgeous hot summer (2018), I’ve been reading a selection of Virginia Woolf’s essayistic writing in a nice small edition of Vintage Minis called Liberty. It’d have to be Proust…I’m afraid. 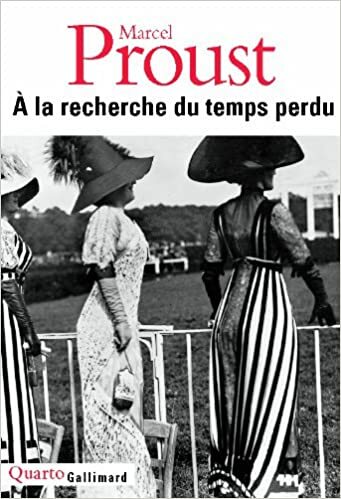 I haven’t read the whole of A La Recherche du Temps Perdu yet. Over the years I’ve dipped in and out of the different volumes, always with the most tremendous pleasure. A long stay on a deserted island would afford me the deep time to get properly stuck in, and would keep me in a state of delicious rêverie for the duration of my life on the island. Goodness knows. On the whole, in my experience, film adaptations of really good books don’t match the book. But I’d be really delighted if any director or producer wanted to adapt my novel for the screen – starring Colin Firth please! Good films, for me, tend to be driven by auteur filmmakers. I really like the work of British director Joanna Hogg. I also thought the US film Moonlight written and directed by Barry Jenkins was utterly amazing. I’d watch anything either of those filmmakers made, whether it was adapted from a book or an original script. I don’t do social media I’m afraid. I feel life’s too short and I’m too old. My publisher, Hikari, has a Facebook page, Youtube channel and twitter accounts. I have a website for the mentoring work I do, and a Facebook page which I connect to once in a while. I’m not sure. Most of my favourite novels involve characters who’ve had and are having a less-than-brilliant life. This stretches from Wuthering Heights through Daniel Deronda to Modiano’s lost souls.